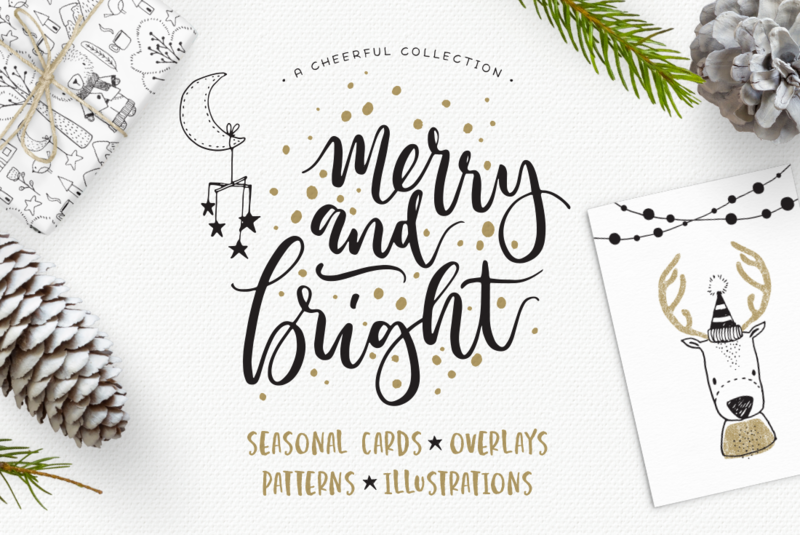 Packed full of cheerful holiday graphics, the Merry & Bright Collection has all you need for your Christmas projects! You'll find everything from pre-made cards, patterns, illustrations and overlays. 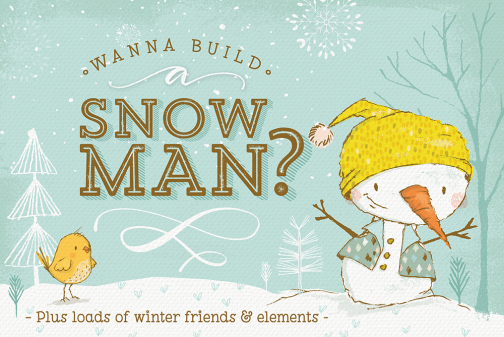 The 12 pre-made card designs are perfect for a quick e-card or gift tag. 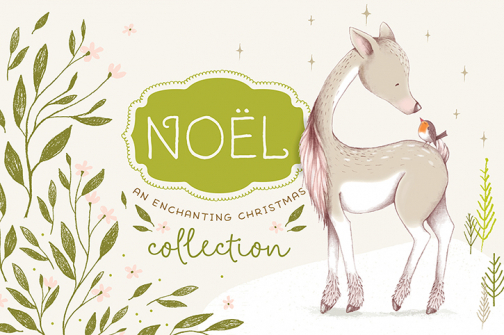 Or why not create your own whimsical designs with the 80+ quirky illustrations included. Mix and match for endless fun combos. Need to keep the kids busy this holiday? Simply print out the patterns on paper, get them to add colour to make bespoke gift wrap. 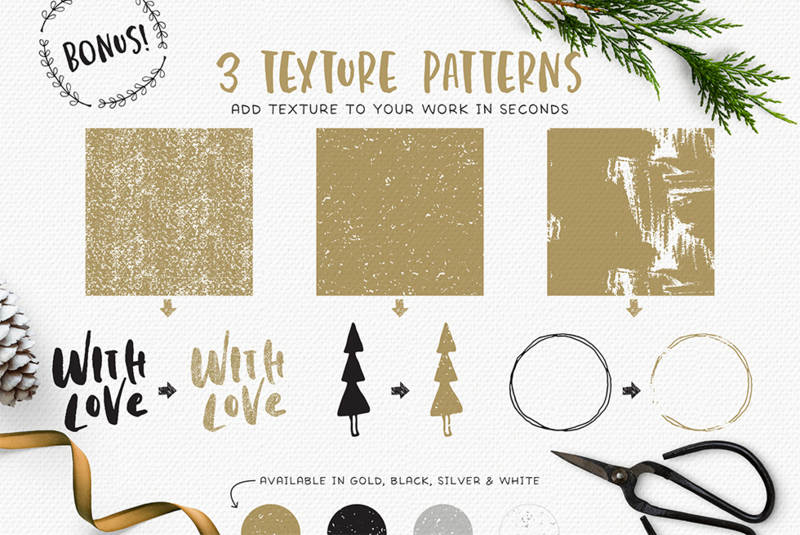 Add a quick holiday message to your Instagram feed with the hand lettered overlays. All elements are available as vector and high-res PNG format files. 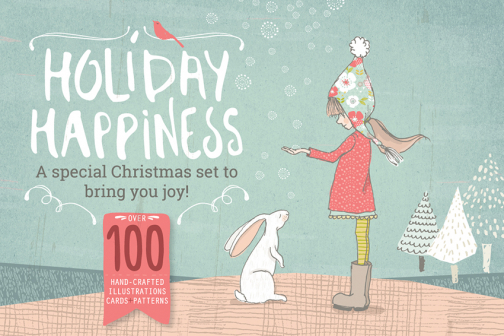 Save 40% off my cheerful collection of holiday graphics!